The nation’s capital wears its thick cloak of green this time of year. The towering trees, the flourishing vines, the humidity. Tourists feel they’ve stumbled into a tropical city. But, no, it’s just Washington, D.C. in summer. A very exciting time and place for the naturalist. So, drink a lot of water, accept the sweat, and head out early to the city’s wonderful natural areas. You’ll be richly rewarded. In 1976, at the age of ten, I developed an interest in reptiles. Two years later, herons grabbed my attention. These alluring birds drew me into birding, a passion I keep to this day. 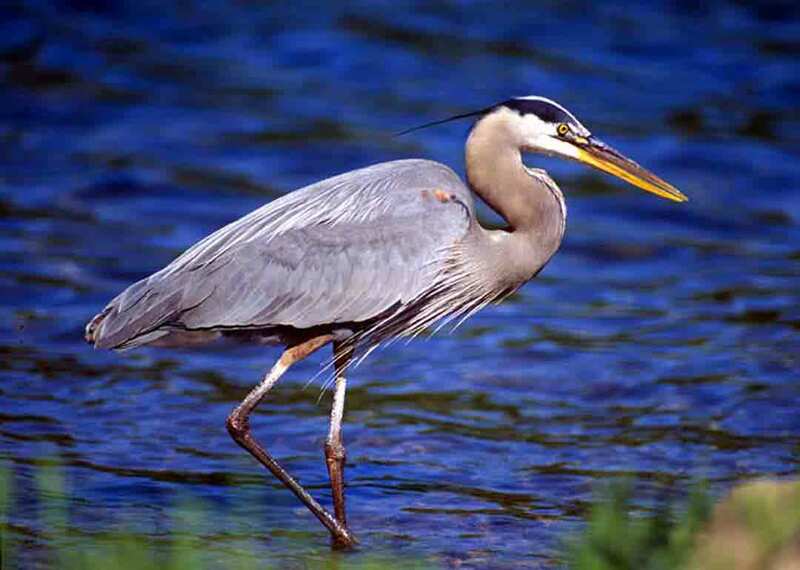 In Washington, D.C. at this time of year, if you are up early and near the Potomac or Anacostia rivers, you are bound to see a heron of some stripe. When you watch one stalk the shoreline in search of frogs or small fish, it’s easy to agree with the many paleontologists who believe birds evolved from trim, predatory dinosaurs. One of the best heron-watching sites is Kenilworth Aquatic Gardens. Walk the boardwalk into the restored tidal marsh there, or stroll along the lily and lotus ponds. By July, herons dispersing from bay or coastal breeding areas augment the small number of herons present in the area through the breeding season. At Kenilworth, you will likely see the small green heron, the large, grumpy-sounding great blue heron, and the great egret. But others show up, especially in July and August, and these might include little blue heron, black-crowned and sometimes yellow-crowned night-herons. From July into August, spotted immature black-crowned night-herons loiter around the National Zoo’s Bird House, having just left their nests in the trees. The zoo’s night-heron colony is just one example of how zoos around the world not only exhibit, but also attract, wild creatures. The zoo is open very early for walkers, joggers, and nature buffs. If you walk from the Connecticut Avenue entrance down to the bottom of the hill and back, you not only get a great workout, but you also have the chance to see wild gray catbirds, eastern chipmunks, woodpeckers, wood ducks, cardinals, white-tailed deer, and of course gray squirrels, including black-coated ones that descended from black phase gray squirrels released at the zoo last century. These black squirrels hailed from Ontario. In many parts of that Canadian province, most gray squirrels are black. Summer in Washington means noticing those small creatures you might have missed in other months. Even if you close your eyes, you can’t ignore the city’s summer wildlife. Listen to the growing crescendo of buzzing annual cicadas, invisible but seemingly everywhere, or the chittering of chimney swifts catching insects high over the city streets. With the abundant heat and humidity, dragonflies and damselflies flourish, snapping up mosquitoes and other small flying insects. At dusk, you might see bats doing the same thing. Sun-drenched stumps and rock walls may be adorned with five-lined skinks, small and shiny lizards. The females and young sport black stripes running down their backs and flashy blue tails. Males are gold with red heads. Green frogs and bullfrogs, snapping and painted turtles, and maybe even a snake or two will cross your path. Likely snakes include common garter snakes and black rat snakes. The northern copperhead, the only poisonous species in the area, is rare in the city and unlikely to be seen. While spring in Washington boasts tree and shrub blooms—yoshino and kwanza cherries, dogwoods, mountain laurels, redbuds, azaleas—summer has colors all its own. Day lilies, herbs, meadow flowers such as asters and butterfly weed, and of course, ornamental crape-myrtles: these are plants you see coloring the view at the landscape level. If you don’t want to miss anything, remember that when it comes to appreciating nature, it pays to stop and look around at the small things. The unheralded jewelweed grows in clumps along waterways and moist woodland edges. Its tiny but spectacular blooms draw hummingbirds. The white and red clover and dandelions growing in the lawn attract many pollinating insects, and cottontail rabbits as well. Growing up in the area, I spent many hours exploring the C&O Canal. If I imagine the tow path, it’s usually a still summer morning, with a bit of mist rising from the water, a dense overhang of American sycamore, tulip tree, and mighty oaks. Another persistent memory: Walking across the entrance bridge to Roosevelt Island, blue-backed barn swallows drifting over the water with a backdrop of tangled vegetation, a mix of vines, shrubs, and trees that made it easy for me to fall in love with tropical places. For if you spend July and August in Washington, D.C. you feel that the heat, and the bounty, of equatorial realms moved north for a spell. 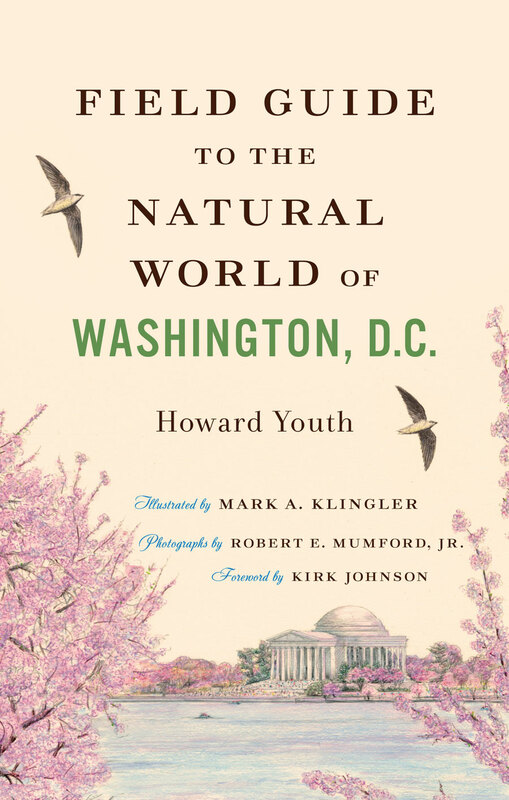 Howard Youth is the author of Field Guide to the Natural World of Washington, D.C., published by Johns Hopkins Press. Susan J. Noonan, M.D., M.P.H.